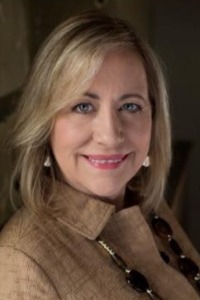 Renee Duke Miller was born in Nashville,TN and moved to Murfreesboro in 1974 where her father, Dr. John Duke, was a Professor of Music at Middle TN State University. She graduated from Oakland High School and Middle TN State University where she received her BBA degree in Human Resources Management. She pursued her Human Resources career at Chromalox, Nissan Motor Manufacturing, Pillsbury and Stanley Tools. She then worked for Bank of America in their Relocation Services Department and then spent 14 years as Director of Development for Saint Rose of Lima Catholic School. Renee's mother, Bobbie Duke, a well known multi million dollar Murfreesboro Realtor for many years, often encouraged her to get into the real estate business. After raising 3 children, Emily Miller, Jane Miller Hearnsberger and Elam Miller, Renee took her mother's advice and became a licensed realtor in October 2015. Renee's husband, 7th generation Murfreesboro native, Eddie Miller, has been in the Insurance Business (Miller Loughry Beach Insurance) for 35 years.